Hong Kong Airlines and Virgin Australia today announced that they will form a codeshare partnership* that will provide customers with connectivity to 11 destinations across the flight networks of both airlines. The codeshare partnership forms part of the first stage of the proposed strategic alliance between Hong Kong Airlines and Virgin Australia that was announced in February 2017. 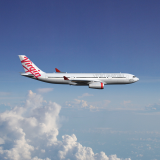 Under the codeshare agreement, Virgin Australia will offer codeshare services on Hong Kong Airlines’ five return services per week between Hong Kong and the Gold Coast and Cairns, Australia. Virgin Australia customers travelling on those services will also be able to book onward travel to mainland China under an interline agreement with Hong Kong Airlines. Hong Kong Airlines customers travelling to or from Hong Kong will enjoy codeshare flights to 11 destinations on the Virgin Australia network. Further information about the codeshare partnership is available below. Members of Virgin Australia’s Velocity Frequent Flyer program will be able to earn Velocity Frequent Flyer Points and Status Credits when travelling on eligible flights operated by Hong Kong Airlines from 5 July 2017. Members of Hong Kong Airlines’ Fortune Wings Club will be able to earn frequent flyer points on eligible flights operated by Virgin Australia from 5 July 2017 and base points earned on eligible flights will count toward attainment of Elite Membership. Hong Kong Airlines and Virgin Australia also plan to introduce further benefits for members of their frequent flyer programs in 2017 including access to airline lounges, priority check-in, priority boarding and additional baggage allowances. In addition to codeshare flights and frequent flyer benefits, the two airlines intend to explore other ways to deliver benefits for their customers, including an exchange of cabin crew to enhance the inflight experience for customers. 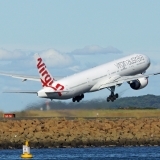 Mr John Thomas, Group Executive, Virgin Australia Airlines said: “We are delighted to announce this codeshare agreement as part of the first phase of our strategic alliance with Hong Kong Airlines, HK Express and HNA Aviation. “Trade and tourism are important connections between Australia and Hong Kong and mainland China. 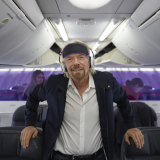 Virgin Australia is excited to facilitate further growth in these connections by offering seamless travel between Hong Kong, mainland China and Australia,” Mr Thomas added. 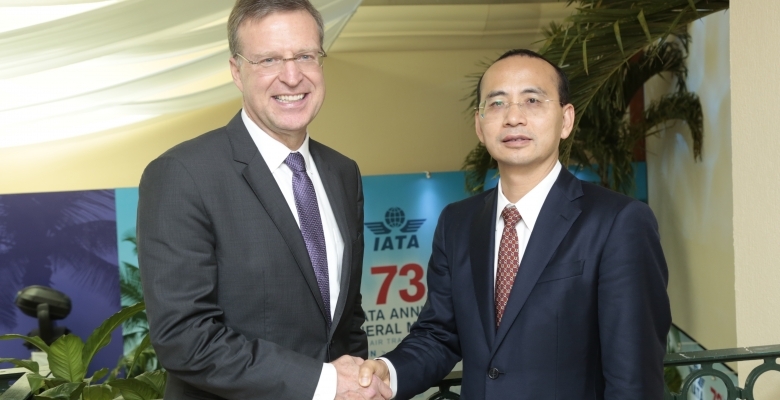 Mr Zhang Kui, Co-Chairman of Hong Kong Airlines, remarked at the 2017 IATA AGM in Cancun, Mexico: “The alliance with Virgin Australia is one of the major steps of Hong Kong Airlines’ globalization strategy in turning ourselves from a regional airline to an international carrier. Following our launch of Gold Coast and Cairns routes in Australia, Auckland in New Zealand and Vancouver in Canada, we strive to expand our network coverage to a wider region and strengthen our overall competitive edge in the Oceania and the North America region, for the benefits of our customers who are looking for more travel options and seamless connectivity. 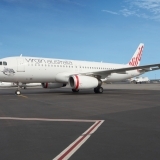 “We believe the alliance will enable Virgin Australia’s customers to gain convenient access to Hong Kong and via Hong Kong, the world’s aviation hub and Hong Kong Airlines’ base, to additional routes in mainland China,” Mr Zhang added. Hong Kong Airlines and Virgin Australia will begin selling codeshare and interline services in late June through travel agents and their websites. The first flight to be operated under the codeshare agreement will be VA87/HX3001, operated by Virgin Australia and scheduled to depart Melbourne for Hong Kong on 5 July 2017 at 0940 local time. 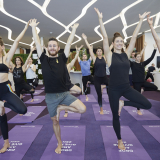 Virgin Australia’s Melbourne – Hong Kong service will be operated five days per week. The proposed strategic alliance between Virgin Australia and Hong Kong Airlines, HK Express and HNA Aviation was granted draft authorisation by the Australian Competition and Consumer Commission (ACCC) in June 2017. The ACCC is expected to make its final ruling on the proposed alliance by July 2017. The proposed strategic alliance will enable the airlines to create an expanded network of destinations across Hong Kong, mainland China and Australia that will offer choice and convenience for travellers.